Come to South Africa to experience world-class surf, beautiful vibe, stunning shoreline and lots of extra activities such as safaris and nature tours. Stay at ocean-front accommodation and score the perfect J-Bay. Jeffrey's Bay Surf Trips will look after you all the way. With a coastline stretched across 18,950km, surrounded by the north and south Atlantic Oceans as well as the Indian Ocean, Mediterranean and Red Sea and straddling two hemispheres, Africa has countless waves coming in every form imaginable. Enjoy some of the most beautiful beaches in the world while meeting some of the most friendly surfers on this planet. While travelling through S.A. you’ll surf mostly all the usual spots (Cape Town, Garden Route, J-Bay, Durban) but don’t forget about the lesser surfed spots like Transkei/Wild Coast. Do go and explore the beaches around SA. However (as is the case when travelling anywhere in the world) be street and car-wise. Do not leave valuables visible in your vehicles and lock up your cars. It is a country of opposites: the rich and the poor, the hot sun and the cold water (at Cape Town side anyway) etc. If you make it to a secret spot and in the middle of no-where you may actually gain respect off the locals for getting there! Taghazout is HQ for surfing in Morocco. There are numerous surfing spots up and down the coastline from Taghazout, making it an ideal base. Amazing pointbreaks both north and south of the famous Anchor Point are a dream for any surfer. Heavy beach breaks, soft mellow points, sandy bottomed river mouths, shallow sketchy reefs...all to be found very close to Taghazout. Hire a car from Surf Maroc and drive as far as you like searching for you own private wave (they are not hard to come by in Morocco). Senegal can supply you with as many empty waves as you could ask for. The swell coming off the Atlantic provides the coastline with some very powerful waves, though it is sometimes inconsistent. 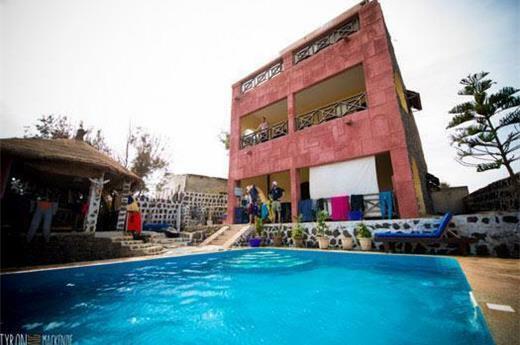 Despite being a developing country Senegal is still a low cost option and gives you a chance to surf waves far off the beaten track while keeping your change in your pocket. The Islands are known for windsurfing but can provide some incredible waves if you time it right. With world class reefs and incredibly clean and clear water these Islands should be on your list. With ten islands in the Archipelago and landscapes ranging from desert to lush tropical forests there is so much to explore. Whether you’re heading down to South Africa’s well-known hotspots like Cape Town, The Garden Route, J-Bay or Durban, heading up north to Morocco with lovely warm offshore breezes coming over the Atlas Mountains from the Sahara or for the more adventurous heading to the lesser known coasts of Senegal or Cape Verde, there are an almost unlimited number of spots to explore. Surf Camp: Stay at Surf Moroc for a great surf experience, meet like-minded people and surf the best spots according to conditions. 5* Paradis Plage Surf, Beach and Spa Resort – Luxurious accommodation and surf centre within the resort. Learn to surf, take yoga classes, have spa treatments while the kids are in the kids club! From November until May the pleasant climate is subtropical, dry, warm and sunny but there’s often a cool breeze at night. The air temperature varies between 24 and 28°C in the daytime and the ocean between 16 and 24°C. From June to October, during the wet season, the sun is very strong and the air is very humid. Temperatures rise to 32°C by the sea and 40°C inland. The water temperature beats records at 29 - 30°C !!! Surfing is best done when the Roaring Forties provide the best swells from March to September. Waves usually range 6-15ft, but you will come across much bigger waves in certain spots. In summer the swell tends to be a bit smaller with pleasurable surf available at the many beach breaks. Surf season for Morocco is best in September through to March when you will find consistent swell, warm water and warm air temperatures and often off shore winds. Spring and autumn have similar conditions with hotter air temperatures and fewer crowds. Beware of the summer months, May through to August, as flat spells are common and it’s hot! Dry and tropical and strongly influenced by the winds: The northeast trade winds and harmattan from the Sahara bring the aridity and drought, while the Atlantic monsoon brings rains that are very irregular from one year to another, usually concentrated on the hilly areas (Santo Antao, Fogo and Santiago). These rains are sometimes very fierce causing lots of damage. However, like everywhere, the climates tend to be changing. There are two main seasons: the dry season from November to June, and the rainy season from July to October. The air temperature varies from 20 to 30°C. At night, the variants are quite low, except at altitude. In winter, winds can blow hard for several days.